HVAC Repairs | AC Repair Company Upland, CA - All Air Appliance Masters, Inc.
All Air Masters, Inc. is a leading provider of trusted HVAC services closeby to Upland, CA and the nearby areas. When you need quality air conditioning, heating, and appliance repair offered at competitive prices, you can depend on us to provide you with the best workmanship. Ensuring the comfort of our customers is our highest priority and our HVAC company is always focused on over delivering. When your heating or cooling system malfunctions and you need an energy efficient replacement or repair, our contractors are ready to help. We work on units of all makes and models ensuring they are restored to their best condition. 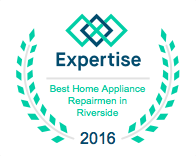 Count on us for residential and commercial AC repair, water heater, furnace repair, and appliance repair services for your home in Upland, CA. When you need top tier residential and commercial HVAC services, there is no other HVAC company you need. We offer every type of service for your cooling and heating equipment including heating system repair and maintenance services and air conditioning repair and maintenance. Count on our certified and professional contractors for air conditioner installation service and any other residential and commercial HVAC service you might need. Whether you require a small HVAC repair or a major installation, you can depend on All Air Masters, Inc. to provide just what you need. We are dedicated to meeting your needs for quality heating and cooling services. Contact All Air Masters, Inc. for more information about our HVAC services and to schedule service by calling us at (909) 399-3223 today. We offer FREE estimates and quality workmanship guaranteed!